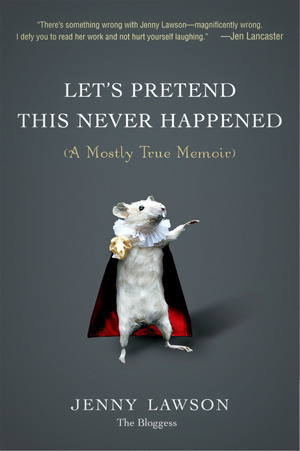 I am reading Let’s Pretend this Never Happened by Jenny Lawson – aka The Bloggess. It’s totally freaking hilarious. A warning about reading this in public: you will either be choking on your food trying to hold back the laughter or eliciting stares from strangers because you just can’t stop cracking up. Which is probably what those strangers think you are doing. 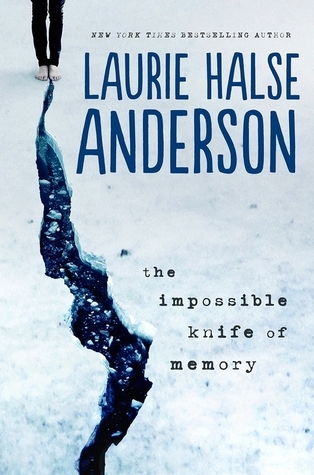 I am also going to be picking up a copy of The Impossible Knife of Memory by Laurie Halse Anderson. I have been seeing reviews about this recent release, and then found out that the author is going to be in Albuquerque at Alamosa Books this Friday! Talk about synchronicity! Love The Bloggess! She makes me laugh so much even as she does great things for other people. I know! She is a joy and a delight.